Businesses in the cannabis industry are not allowed to advertise on most social media platforms. Yet, with over $10 billion invested in legal markets in 2018 alone, the industry will continue to see growth. 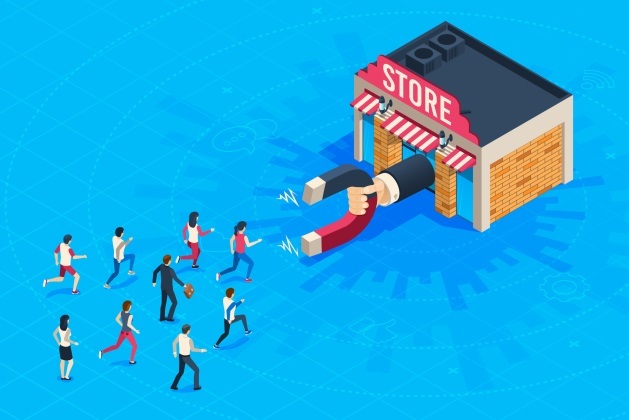 While traditional retail products may have little in common with that industry, the lessons learned from its ability to reach customers despite restrictions on social media can be valuable to any retailer. Of course, it is not that the industry is not online. It has just had to find clever ways to infiltrate social media without paying for clicks. Its methods can help both small retailers feeling the uptick in social media advertising costs and larger organizations looking to refresh their approach. For example, in a recent interview with Entrepreneur magazine, Polly Rodriguez, CEO of Unbound, has leveraged original content to grow her online presence and customer base. Her goal was to create a compelling message that inspires women to care about the company, products and brand and then, most importantly, share that feeling with their friends. To accomplish this, Rodriguez focused on sharing content via a newsletter that answered her customers’ questions and those of her target market — making it both informative and shareable. She continues to ensure the information is relevant by mining Google search data and using expert responses. Any retail organization can double down on customer-focused content, but when there are so many other ways to reach customers, firms often choose to cast a wider net instead. Rodriguez’s approach, however, is completely in-line with research by Thales Texeira at Harvard. An expert in the economics of attention, Texeira explains: “When marketers stop asking ‘what do I want to achieve from the advertisement?’ and start asking ‘what can my consumers achieve if they share the advertisement?’ they then start the process of creating truly consumer‐centered advertising, that which benefits the consumer’s social needs.” After addressing those needs the organization is prepared to begin to align their goals with the customer-centered advertising focus. In addition to using data to create original, consumer-focused content, leaders in the marijuana industry use influencers to share their message. Traditional approaches, like T-shirts with the company logo, pictures and selfies during attendance at company-sponsored events, and news coverage all provide opportunities for social media coverage without paid advertising. Again, the idea of doubling-down on a specific channel instead of committing solely to a little bit of advertising across a wide net can prove helpful. Old-school relationship building with high-profile individuals can provide a direct pipeline to new markets or to expand current ones. Thus, retailers of all sizes can seize opportunities to leverage what they are already doing to go deeper with current clients and increase the shareability of their message. By focusing on the target consumer’s needs and finding a way to ensure they benefit by sharing the message, companies can create even more brand ambassadors. While social media may be a critical part of a messaging platform, as costs rise and the landscape economics of attention shifts, it’s good to have other, non-pay-per-click methods to fortify the current base or attract new members.